You'll enjoy a bit of beach vacationing at Morro Branco and Praia de Futuro. Get a sense of the local culture at Metropolitana Cathedral and 10th GAC Cultural Museum. Venture out of the city with trips to Aquiraz (Beach Park, Porto das Dunas Beach, & more), Aguas Belas Beach (in Caponga) and Monumento Natural das Falesias de Beberibe (in Beberibe). There's lots more to do: enjoy the sand and surf at Iracema Beach, tour the pleasant surroundings at Piriquara Beach (Coqueiros), look for gifts at Mercado Central de Fortaleza, and take advantage of the amenities at Crocobeach. To find maps, more things to do, photos, and tourist information, read Fortaleza trip planner. Manaus to Fortaleza is an approximately 5-hour flight. You can also do a combination of ferry and bus. You'll lose 1 hour traveling from Manaus to Fortaleza due to the time zone difference. In December in Fortaleza, expect temperatures between 36°C during the day and 30°C at night. Wrap up your sightseeing on the 1st (Wed) to allow time to travel to Miami. Your itinerary includes some good beach time at South Beach and Haulover Beach Park. Step out of the city life by going to Shark Valley and Fort Lauderdale Beach. Change things up with these side-trips from Miami: Sawgrass Mills (in Sunrise), Fort Lauderdale (E Las Olas Blvd & Saint Demetrios Greek Orthodox Church) and Everglades National Park (Pineland Trail, Gumbo Limbo Trail, & more). 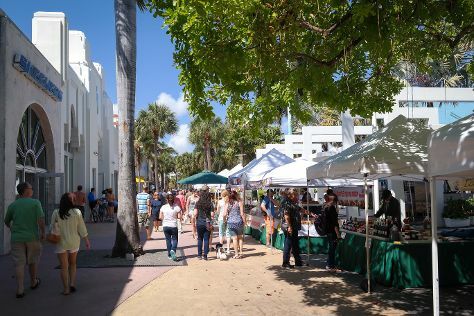 There's still lots to do: take a stroll through Lincoln Road, buy something for everyone on your list at Dolphin Mall, shop like a local with Aventura Mall, and don't miss a visit to Bayside Marketplace. To find maps, other places to visit, more things to do, and other tourist information, you can read our Miami road trip website . Traveling by combination of flight and tram from Fortaleza to Miami takes 11 hours. Alternatively, you can do a combination of flight and bus. You'll gain 2 hours traveling from Fortaleza to Miami due to the time zone difference. Expect a bit cooler temperatures when traveling from Fortaleza in January; daily highs in Miami reach 29°C and lows reach 20°C. On the 13th (Mon), wrap the sightseeing up by early afternoon so you can travel back home.